Our access platforms have been load tested in 2018 by a UK specialist lifting equipment testing & design company who are members of the Lifting Equipment Engineers Association. They were tested to a max. load of 450 KG evenly distributed on the platform applied using calibrated test weights. 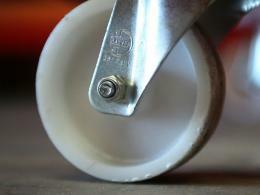 As far as we are aware, no other manufacturer tests to these vigorous standards. What is the purpose of a double-ended access platform? When a maintenance job is required to be done at a height greater than the maintenance personnel’s, mobile safety steps are highly recommended! 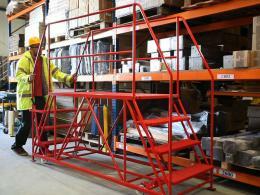 Used for high-level work, this double-access platform provides different elevation levels depending on the job at hand. Ideal for ‘high-handed’ fix-it jobs, this type of platform step ladder is great whether you want to wash the windows on your private jet, tighten the screws on the top shelf of your warehouse racks or just change a light bulb in style! Platform Steps are designed with stability and safety as top priorities and, as such, has been load-tested by a certified member of the Lifting Equipment Engineers Association – the only such intensive testing done for this category of portable maintenance equipment. 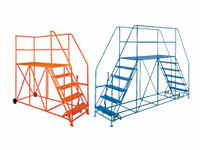 This type of platform ladder are a sturdy alternative to a traditional warehosue step ladder. Where can a double-ended access platform be used? This product is highly recommended wherever there is a regular need for maintenance work that is too high to reach from the ground. Essentially, the best place to use this product is where maintenance workers prefer not to use ladders or other unstable equipment to reach elevated places for repair and maintenance work. It is ideal for factories where large machines need regular servicing; it is also perfect for working on ceiling fixtures or components placed high on walls and such surfaces; in fact, any job that requires a stable platform with access from two sides is an ideal “candidate” for this product. Factory supervisors and maintenance staff will undoubtedly require this product as an essential part of their maintenance equipment. Others who regularly use ladders and other elevation devices will find this to be a much more suitable and safe option. It is also extremely useful for those who work with high shelves and access points in the industrial sector. The safety level provided by this product makes it hard for anyone to ignore when there is a need for staff to climb up to a high point to complete a job or access an elevated area. 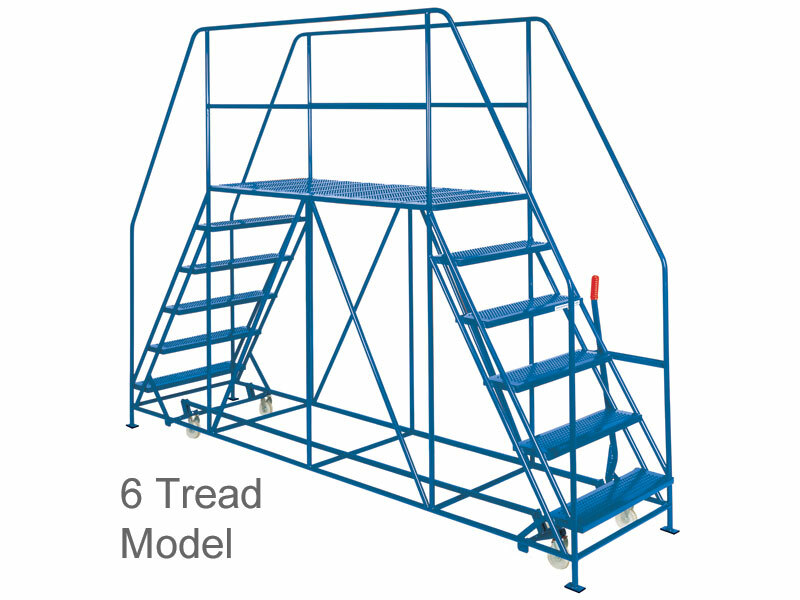 This product is made from welded tubular steel, and has an overall height of between 1712 and 3490mm in height, depending on the number of treads for that specific model. Overall length ranges between 2400 and 4530mm, while width measures either 813mm or 1016mm. The design has been load-tested for up to 300kgs of evenly distributed weight, and to the highest engineering standards applicable –well exceeding the minimum testing requirement.